She was 18...Died at 22! Lost her mother at a tender age of four. Raised by her father ,educated at home,she took formal training in martial arts which included archery, horsemanship, self-defence,fencing. 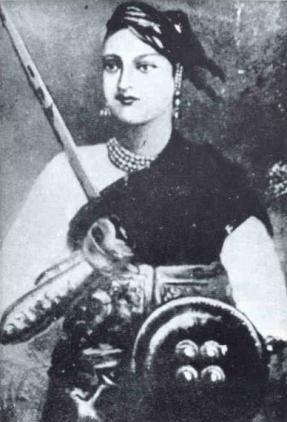 Married to Gangadhar Rao, the Raja of Jhansi, at the age of 14,she was given the name 'Laxmibai'.In 1851, she gave birth to a son. Sadly, the child did not survive more than four months.In 1853, Gangadhar Rao fell sick and became very weak. So, the couple adopted a child.On 21st November 1853, Maharaja Gangadhar Rao died. Rani Laxmibai was just 18 at that time. Madan Lal Dhingra was an Indian revolutionary freedom fighter. While studying in England, he assassinated Sir William Hutt Curzon Wyllie, a British official, hailed as one of the first acts of revolution. 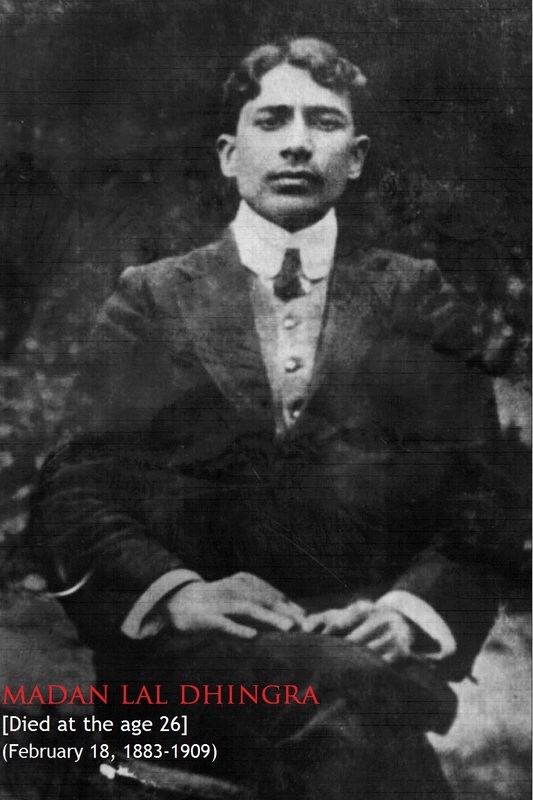 In 1904 he lead a student protest against Principal's order to have college blazer made out of Imported Cloth from England.He was thrown out of college. He deeply studied the literature concerning the cause of Indian Poverty and famines and as solution to these problems Swaraj and Swadeshi became key issues.